Newscoop has a Representational State Transfer Application Programming Interface (REST API) which can be configured from the administration interface, by clicking Configure, then API in the main Newscoop navigation menu. This API enables other programs, plugins and widgets to interact with Newscoop, for example getting a list of articles or creating a new user on the system. The API features are aimed at programmers who are integrating Newscoop with other newsroom and web publishing systems. By default, all API features are hidden from the public. 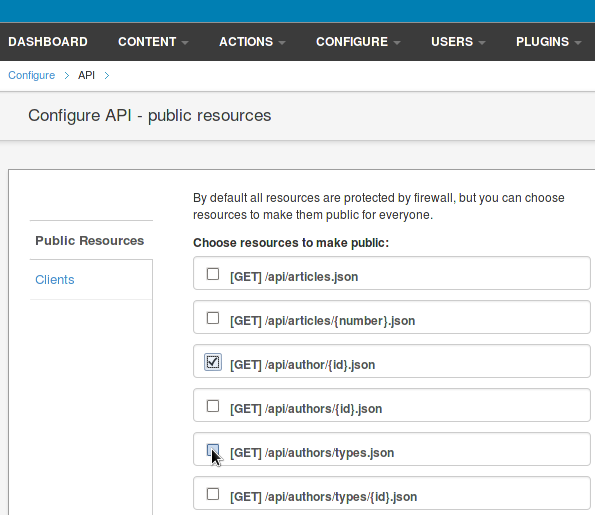 You can enable just the API features that you need public access to by clicking the checkboxes on this page. 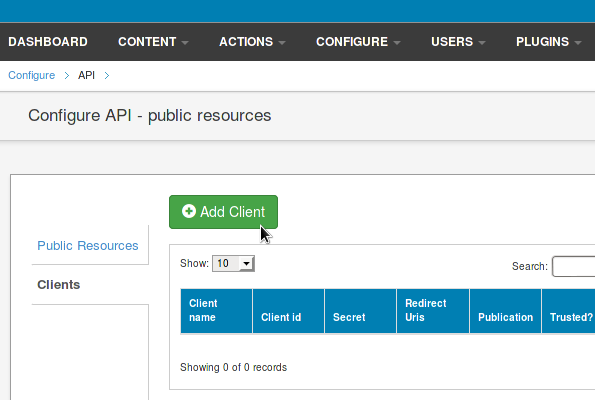 Authenticated API clients can be set up on the Clients tab. Click the Add Client button to register a new client and generate a client secret for it. 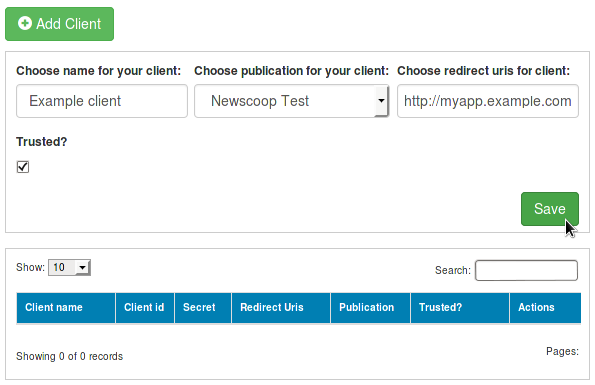 Choose a name for the client application, the Newscoop publication you wish it to access, and the URI of the client application which parses the authentication token sent by Newscoop. After clicking the Save button, the generated Client ID and Secret will be shown in the table. 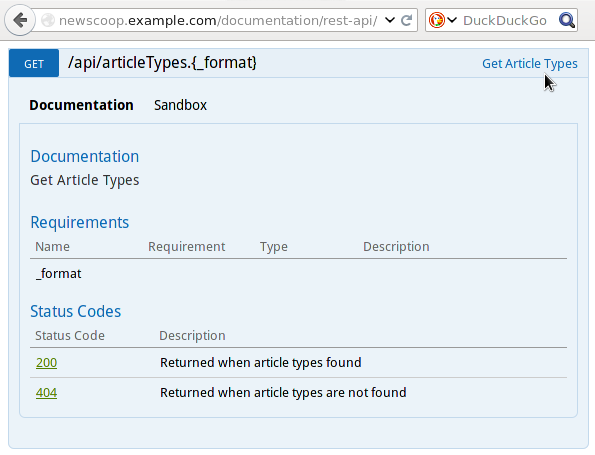 Documentation for the Newscoop API is automatically generated at documentation/rest-api/ on your Newscoop server. 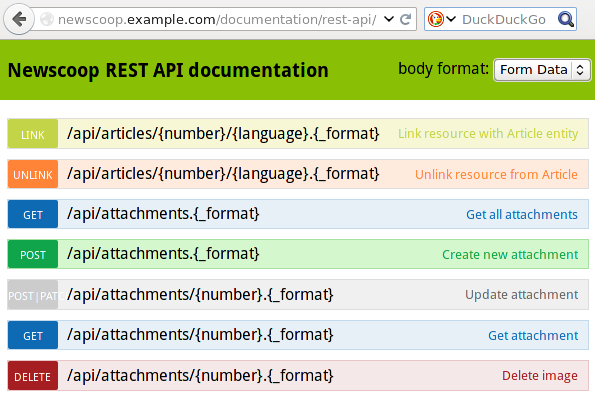 Click on one of the coloured rows to show details of the API request.